From completing company set up, to clearing banking headaches and guidance with employee issues, for 9 years Deepa has successfully guided us with both precision and efficiency. Deepa Suresh has been of invaluable help in navigating the rules and regulations of doing business in the UAE. 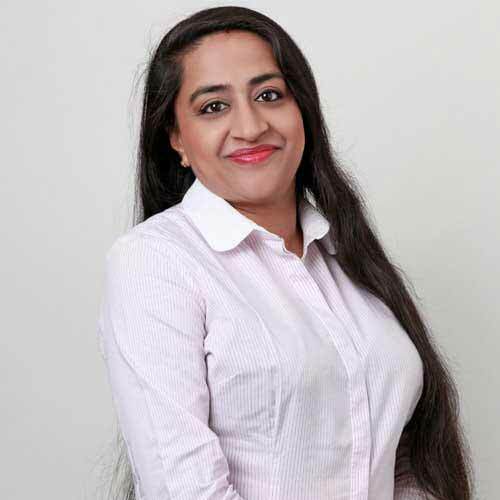 Deepa had been extremely helpful in creating the subsidiary in Dubai, choosing the right Free zone, providing the right documents and information, and in all administrative procedures. She was our local support and allowed us to facilitate the company set up. Thanks to the help of Deepa, the creation of the company was very quick and efficient. Congratulation on your growth and the consistently high service levels you have maintained over the 10-years we have worked together. Your teams guidance in navigating the local UAE business conditions and differences against our existing countries of operation has been invaluable. As we both have grown James Berry and Associates continues to feel like an extension of us, rather than an outsourced resource. Deepa and Aqsa are awesome. Thanks for your recent assistance. Having been in the region since 1980 you learn to appreciate the importance having a good support structure to keep both you and your business up to date with all legal requirements and regulations attached to everyday life In 2003 I partnered with James Berry Associates in the set up of a branch of an Australian hotel apartments group who successfully opened a property in JLT dubai ,The assistance and support through all legal and banking issues were dealt with efficiently by JB and his professional staff. On a personal basis I have used JB for company formation which is up and running as well as domestic matters I would not hesitate to recommend JB associates as they have a team of professionals for all legal activities under one roof. Dear Deepa, Certainly I have been more than happy rendering your firm’s services and will continue to work with you. We are very happy with Deepa Suresh’s prompt legal assistance and her professionalism. We have no hesitation whatsoever in recommending James Berry & Associates to our circle of contacts. Sudhakar Maller, Food Fund Intl. The DCC Regulations specifically require all companies and branches incorporated in the DCCA to adjust their legal status and adopt the new documentation- primarily the Articles of Association, within the next 12 months. There are many options open to foreign companies and individuals who seek to establish a business presence in Dubai ranging from a Company under the Commercial Companies Law (CCL) to a variety of Free Zones. Deepa graduated from Pondicherry University in India in 2001, and was thereafter admitted as an Advocate on the Roll of Advocates of the Bar Council of Kerala, India. Prior to joining James Berry & Associates Dubai office, she practiced in the areas of banking, property and family matters. Her current areas of specialisation include setting up of all types of companies in Dubai, Abu Dhabi, Sharjah and all major Free Zones in UAE, offshore companies in UAE and elsewhere, Licence Amendments, Licence Renewals, Company Restructuring, share transfer transactions and Trademark Registrations.